Marc Secchia: New dragon fantasy - Dragonfriend! Expecting yet another awesome adventure from my new favorite author! Already pre-ordered! Thank you so much! I'm really looking forward to this release. I submitted the final interior file to Amazon yesterday so they're just checking it over now ahead of the April 11th release. 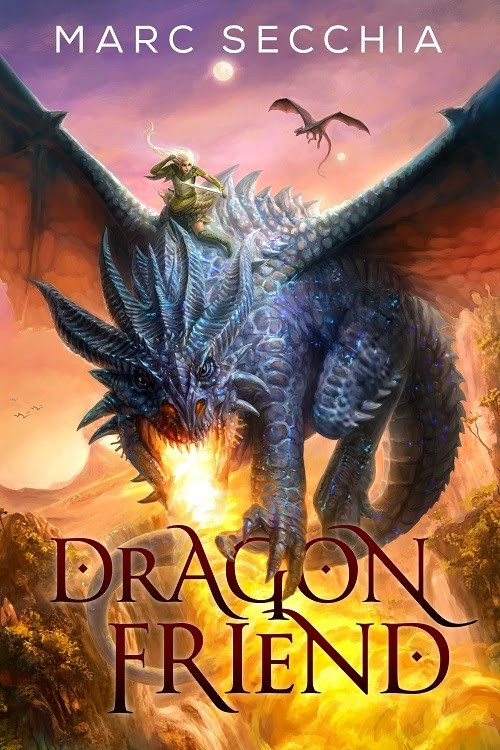 What do you think of the dragon on the cover? He looks epic! I love the Dragon fire, the detail on his scales, and the lighting is absolutely gorgeous. Definitely an attention grabber! I finished Dragonfriend two days after the official publication but I haven't had time to sit down and write a review that will adequately express how thoroughly I enjoyed it. I'll probably get around to it in the next few days and post it on Amazon, but until then I just wanted to let you know the short version: I loved it! I CAN'T WAIT FOR THE SEQUEL! Thank you so much! The sequel will be called "Dragonlove" and is about 65K words in draft at the moment. Head down, typing like mad :-) thank you so much for the encouragement! I look forward to hearing your thoughts!